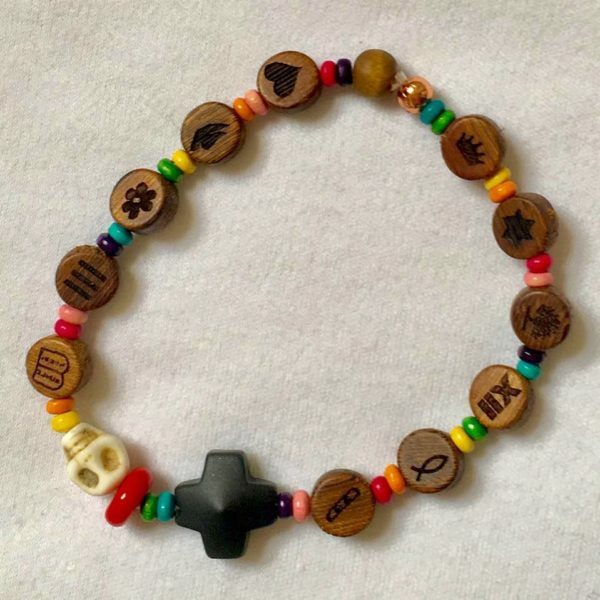 Intricately etched small wooden beads combine with a vibrant array of color to create a Bible Bracelet reminiscent of a visit to a tropical island. As always, wooden beads are a fantastic personal aromatherapy element. Just place a couple drops of your favorite essential oil blend on the bracelet and seal overnight in a ziploc bag.